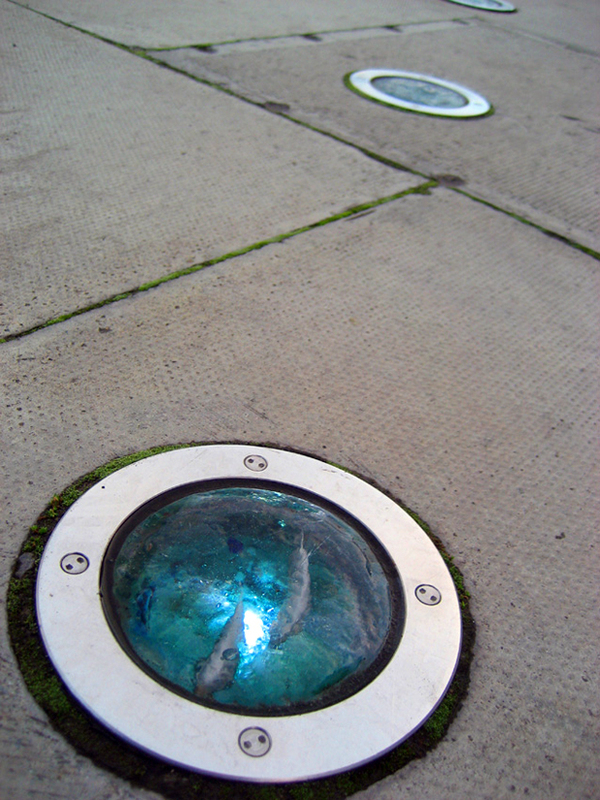 Materials: Cast glass, copper fish, led light in stainless steel housing. Location: Customs House Quay to Point Depot along Dublin Dock. Description: 900 small glass cobbles in watery shades of green and blue with tiny metal silver and copper fish set inside. Each cobble is set into a light fitting and sited along a lengthy stretch of river walkway that suggests an almost surreptitious movement towards the sea.